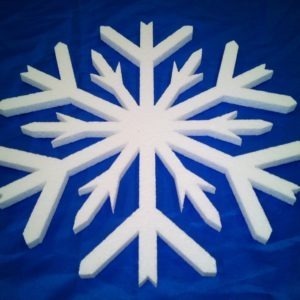 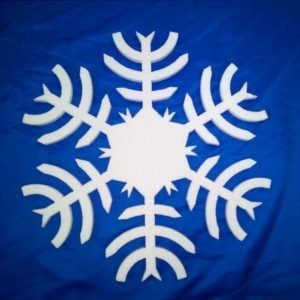 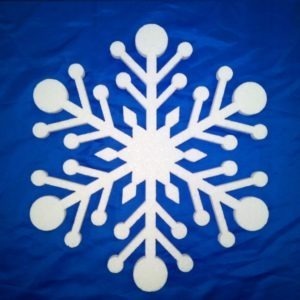 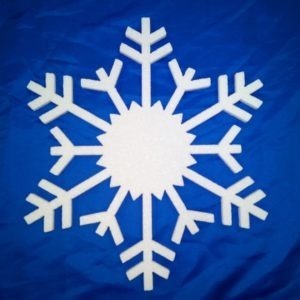 Polystyrene Snowflakes are available in sizes from 150mm (6″) upto 600mm (24″) in height. 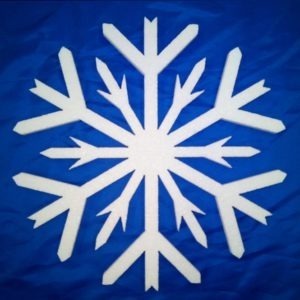 We can cut snowflakes upto 1200mm (4ft) in size if you require larger sizes. 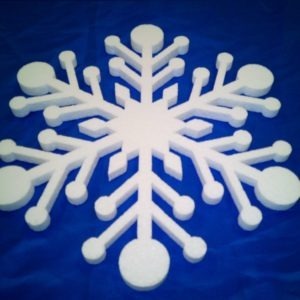 These polystyrene natural white snowflakes are light enough to stick to walls, windows or hang from string or thin thread. 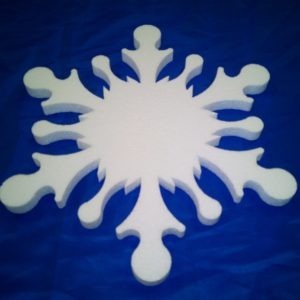 These snowflakes can easily be decorated with non solvent based paints or glued with pva and sprinckled with glitter. 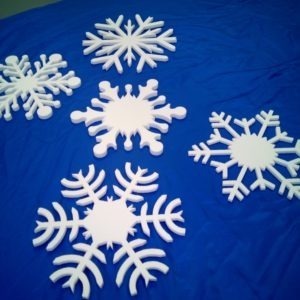 Or just leave them in natural white expanded polystyrene for an authentic looking snowflakes.